A very healthy and convenient tea for carrying, just one ball is possibly able to meet you daily tea consumption. Yue Guang Bai, also known as Moonlight Beauty, is a special type of pu-erh. 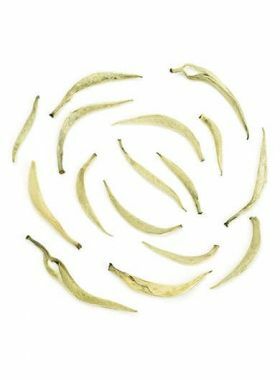 This tea is made through the same processes of Fuding white tea, which is why it is also considered a white tea. 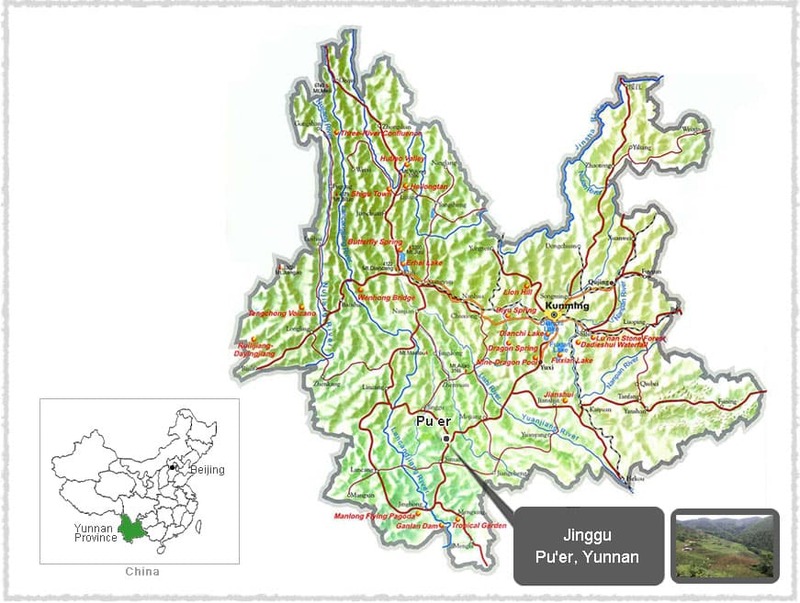 This tea is made entirely from ancient trees in Jinggu, one of the largest growing areas in Pu’er City known for its high-quality white tea; as a result, the fresh leaves are rich in nutrients and have a strong fragrance when dry and a rich, remarkable taste when brewed that lasts through many infusions. This tea is made with material from the Jinggu Dabai variety of tea push, with the plucking standard of one leaf to one bud. It is entirely handmade, and each dragon ball is individually wrapped in white paper that serves well for collection, storage, and transportation. When brewed this tea gives a crystal-clear and bright liquid, with a light honey fragrance accompanied by a hint of an aroma of dried dates. 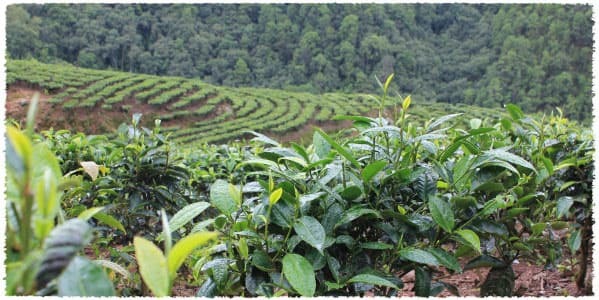 In recent years, Jiu Tai Po tea garden has begun to grow Taidi Cha, which comes from the Jinggu Dabai Cha varietal. The leaves from Daiba Cha are more expensive than those from older tea trees, so you don’t need to worry about buying a half-fake tea mixed with Taidi Cha and old tree leaves. With more than thirty years of experience in making tea, Mr. Yang, as well as the over farmers of Huidi village, make their living by selling tea. Mr. Yang was the first to produce dragon ball black teas with fresh flowers, and when we asked him about this, he told us, “There is already a very special blend of pu-erh with rose and chrysanthemums, which is where I got the idea for doing the same thing with black teas.” After this, he started his experiments to do so, and eventually found that Dian Hong black tea is perfect for rolling into the larger dragon ball tea. Jinggu Dabai Cha is an arbor tree from Mt. Kuzhu in Jinggu County. These particular plants grow widely around the local area, naturally reaching 4-5m with thick trunks and sparse branches. 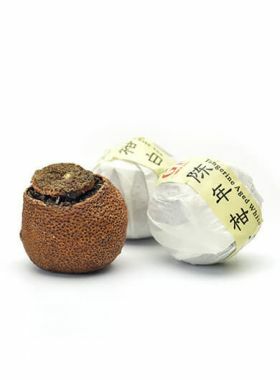 It is characterized by its large, soft tea leaves and plump, fuzzy greenish-white buds. 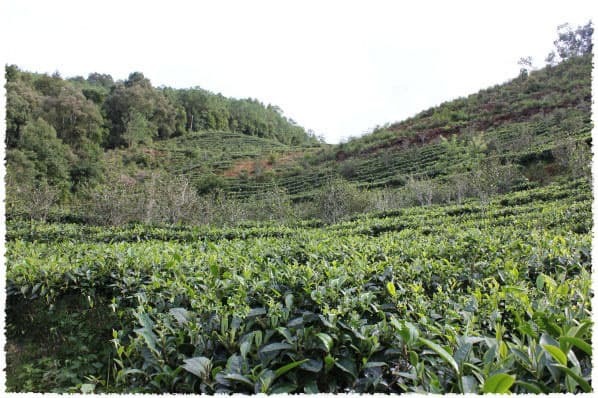 The Spring harvest for this tea, picked with one bud and two leaves, has high amounts of soluble compounds: 3.8% amino acids, 29.9% polyphenols, 5.2% caffeine, 15.3% catechin, and 46.7% water extractives. Therefore it has a rich flavor, and leaves a sweet aftertaste in the mouth. 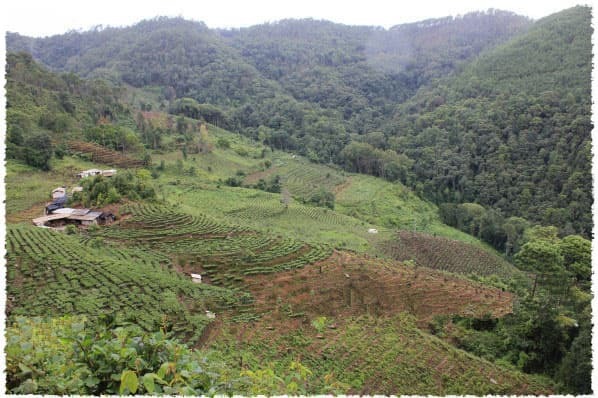 Tea from Jinggu Dabai Cha excellently presents the special features of Yunnan large-leaf varietals, which are also good bases for making high-quality pu-erh teas. An enthralling legend has been connected to Moonlight Beauty tea in Bulang culture. It states that long ago there was a beautiful young Dai princess living in Xishuangbanna, kind and intelligent, named Seven Princess. The friendly relations between the Dai and Bulang nationalities led to her marriage to a handsome young Bulang man, and with the princess’s help, the Bulang people learned to plow, sow, and craft tea. She was later honored as the tea goddess of the Bulang people. The Moonlight Beauty tea was chosen as a tribute to her, as the people agreed that this tea embodied the wisdom and beauty of Seven Princess.